On Thursday, Dane County Circuit Court Judge Josann Reynolds ruled Governor Walker must call a special election in the 1st Senate District and 42nd Assembly District. Both seats have been vacant since December when former Senator Frank Lasee and former Representative Keith Ripp both resigned from the legislature to take positions in the administration. Following their departure, residents in their districts, with the help of an organization headed by former U.S. Attorney General Eric Holder, filed a suit against Walker to hold special elections. Walker determined in December to allow both seats to remain vacant and be filled during the regularly scheduled general election in November. Judge Reynolds determined Walker infringed on the voting rights of residents by failing to call special elections. According to the ruling, Walker must call special elections by this week. 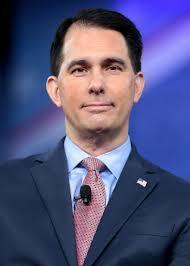 As of Friday morning, no decision has been made by Walker as to whether he will call the elections or pursue an appeal. State Democrats believe they have a legitimate chance to pick up both seats this year. A special election could favor Democrats in a similar manner it helped Democratic Senator Patty Schachtner flip the 10th Senate seat in January. On Friday, Senate Majority Leader Scott Fitzgerald and Assembly Speaker Robin Vos called an extraordinary session to pass legislation to change special election statute and block Reynolds’ order. The measure has been harshly criticized by Democratic leaders, who claimed it’s just a Republican attempt to retain control of the state legislature.